I’ve written about systemd-networkd in the past and how easy it can be to set up new network devices and tunnels. However, the documentation on systemd-networkd with bonding is a bit lacking (but I have a pull request pending for that). 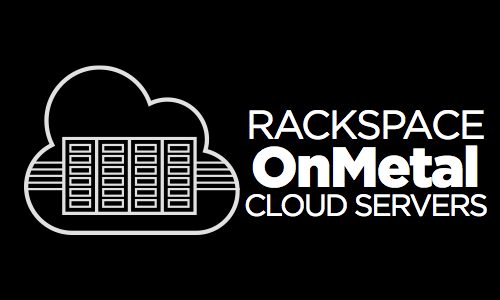 Rackspace’s OnMetal Servers are a good place to test since they have bonded networks configured by default. They’re also quite fast and always fun for experiments. To get started, head on over to the Rackspace Cloud control panel and build a compute-1 OnMetal server and choose Fedora 22 as your operating system. Once it starts pinging and you’re able to log in, start following the guide below. This ensures that both network devices show up as eth0 and eth1. Although it isn’t my favorite way to configure a server, it does make it easier for most customers to get up an running quickly with some device names that they are familiar with from virtualized products. Udev rolls through a list of possible network names and uses the very last one as the name of the network device. Gentoo’s documentation has a nice explanation. In our case, ID_NET_NAME_SLOT took precedence over the others since this particular device sits in a hotplug PCI-Express slot. Although this is a bit confusing, it can be helpful in servers when parts are added, removed, or replaced. You’ll always be assured that the same device in the same slot will never be renamed. Our first ethernet device is called ens9f0, but what is the second device called? Now we know our ethernet devices are called ens9f0 and ens9f1. It’s time to configure systemd-networkd. We’re telling systemd-networkd that we want a new bond interface called bond1 configured using 802.3ad mode. (Want to geek out on 802.3ad? Check out IEEE’s PDF.) In addition, we specify a transmit hash policy, a monitoring frequency, and a requested rate for LACP updates. This tells systemd-networkd that we have an interface called bond1 and it has two VLANs configured on it (more on that later). Also, we specify the interfaces participating in the bond. This ensures that the bond comes up and down cleanly as interfaces change state. These files help systemd-networkd understand which interfaces are participating in the bond. You can get fancy here with your [Match] sections and use only one interface file with ens9f*, but I prefer to be more explicit. Check the documentation for systemd-networkd for that. The public network for your OnMetal server is delivered via a VLAN. Packets are tagged as VLAN 101 and you need to configure your network interface to handle that traffic. We already told systemd-networkd about our VLANs within the bond1.network file, but now we need to explain the configuration for the public network VLAN. Take what you see in ethernet_mac_address and use that MAC address on the MACAddress line in your public.netdev file above. If you skip this part, your packets won’t make it onto the network. For security reasons, the switch strictly checks to ensure that the right VLAN/IP/MAC combination is use when you communicate on the network. To get your IP address and gateway, you can use ip addr and ip route. Or, you can look in your config drive within the networks section for the same data. Ensure that your IP address and gateway are configured correctly. I’ve used Google’s default DNS servers here but you can use your own if you prefer. Review your config drive json for the correct IP address and routes. Your routes will likely be the same as mine, but that can change over time. That’s there as a workaround for some network issues that sometimes appear during first boot. We won’t need it with systemd-networkd. Remove them from any kernel command lines you see and save the file. Reboot and cross your fingers. If you get pings after a reboot, you did well! If you didn’t. you can use OnMetal’s rescue mode to hop into a temporary OS and mount your root volume. Be sure to look inside /var/log/messages for signs of typos or other errors. Don’t be afraid of the degraded status for bond1. That’s there because systemd doesn’t have networking configuration for the interface since we do that with our VLANs. Also, both physical network interfaces are listed as carrier because they don’t have network configuration, either. They’re just participating in the bond. Feel free to ignore bond0, too. The bonding module in the Linux kernel automatically creates the interface when it’s loaded. Simply reboot and you’ll be booting with grub2!